Long Island, NY - February 20, 2015 - Family Residences and Essential Enterprises, Inc. (FREE) announced the creation of the Little Stars of Hope program, a grant funded program by the Office of Children and Family Services (OCFS) designed to promote the social-emotional health of infants, toddlers, and preschoolers. The services provided will be made available for children currently in childcare or who were in childcare at the time of Super Storm Sandy. FREE provided counseling support to over 50,000 Nassau County residents immediately after Super Storm Sandy. FREE is specifically concerned with improving the long-term impact of traumatic life-altering events on very young children, child care providers and their parents/caregivers. Services include child care provider training, assessments, counseling, and individualized support plans. All services are free and confidential. If interested in learning more about Little Stars of Hope, please contact FREE’s Outreach Coordinator, Rachael Mina for more information at 516-870-1600 ext. 1977.
benefits and proudly supports more than 3,500 individuals with intellectual disabilities, mental illness and traumatic brain injury. It is the mission of FREE to help individuals of all abilities realize their full potential. 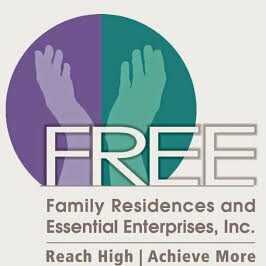 FREE provides a diverse array of supports and services including: housing, recovery services, transition to work, employment, day, community and family services, respite, crisis services, education and after-school support, primary and specialty health care and advocacy. For more information, please call 516-870-7000 or visit the website. Subject: LongIsland.com - Your Name sent you Article details of "Little Stars Of Hope Program Aims To Help Children Dealing With Mental Health Issues Caused By Super Storm Sandy"